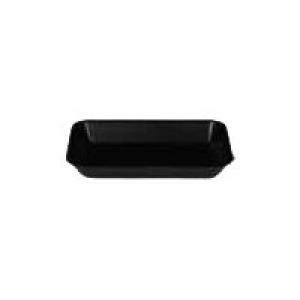 This small black foam food tray is ideal for packaging lightweight items such as biscuits, lamingtons and doughnuts. It's great for stacking, allowing you to utilise space in your takeaway, canteen or restaurant. Perfect for any food and deli service providing takeaways.